Due to there is a need from one of my reader requesting on how to install the Mira L200/L200s side-mirror to his car, thus I would like to share the installation diagram here. If you wish to have a electric adjustable side-mirror for your Perodua Kancil just like other cars, you may get a set of Mira L200/L200s side-mirror which the market price for now is around RM200-250 depends on condition and whether it comes with the switch. Actually the process of the installation is pretty straight forward where there is no fancy wiring needed. Continue to read the entire post so that you can have a better understanding on how to DIY by yourself and this may save you up some bucks for the installation fee. Feel crazy with all the color codes? No worry, I will always prepare pictures for explanation and for future reference. As I agree that "A picture worth a thousand words". WHAT ABOUT L5 SIDE MIRROR AUTOFLIP WIRING DIAGRAM AND COLOUR CODE.CAN U HELP ME...BECAUSE I HAVE ONE BUT DON'T KNOW HOW TO WIRING IT....HERE U GIVE A KANCIL 850 WIRING DIAGRAM. Do you mind to leave me your email so that I will post it to you once I figure out the wiring diagram. 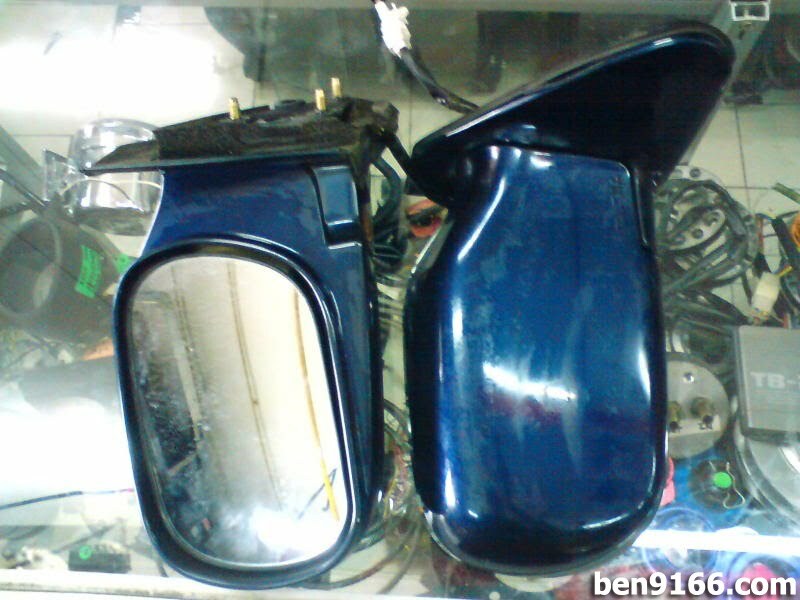 i been change my standard 850cc to mira L2s then they not install my side mirror..how to install it back? Your socket is it from L2s? L7 GINO SIDE MIRROR AUTOFLIP AND SWICH WIRING DIAGRAM AND COLOUR CODE.CAN U HELP ME. HERE U GIVE A WIRING DIAGRAM. I do have the diagram. Let me share with you here. I'm waiting from u. TQ. I hv Mira avy side mirror and L5 switch. Can you please give me the wiring diagram. Sorry to say that I do not have any experience with the Mira avy side mirror. the mira l5 meter red n white face wiring different or not? Hi ben, can u give me a diagram for wiring L5 autoflip. my email: easternlens27@gmail.com..
i want to install side mirror auto flip L5 to kancil 660 standard wiring... if there any relay i have to add?? Hi Ben , can I have kancil 850 original 3 wire power mirror diagram? Pls pm cvlee88@yahoo.com, thank you. Hi ben, can u give me a diagram for wiring kancil 3 wire. my email: cvlee88@gmail.com..
Basically the adjustment of the mirror is the same concept as above image. However I can't pin point every single color code of the wiring as different batch came with different color wiring. Try to use a test pen to test the electric coming from the switch to the socket to verify the wiring functionality. I don't have any wiring diagram for detomaso. Sorry.